Purple Mexican is a feminized Marijuana strain being an exotic crossroads upper-middle class, citric taste, potent and a balanced effect. Purple Mexican is also the ideal choice to provide energy duirng the day. Purple Mexican is a feminized Marijuana strain created by crossing Purple Kush Pakistan and Oaxaca in Mexico. This strain tends to grow vigorously, robust, with a short flowering period, easy to grow and with a strong production. The exotic and tasty Purple Mexico plant provides a stimulant, quite fast and pleasant high. This produces a lucid and honeyed relaxation feeling that will transport you in a relaxed, pleasant and long-lasting atmosphere. The plant of Purple Mexican reaches medium-high heights being highly resistant. It also has an average internodal distance and the leaves have an intermediate size. This hybrid has in its structure a combination of two very different trends of Marijuana which provides a perfect balance that will please anybody who decides to grow it. In its development, it reaches a similar structure of a Christmas tree, with a fairly large central bud and quite numerous and resin-loaded small and compact secondary buds. Purple Mexican is easy to grow on indoors since it has a controlled growth not usually running wild in size. However, when cultivated on outdoors in temperate and Mediterranean climates or under the protection of a greenhouse it will deploy all its potential. In this way, we recommend to give it a very balanced supply. Moreover, Purple Mexican is one of Marijuana strains that produces the most intense taste and aroma comprising notes of incense, spices and lemon with honey. A wave of incense with a lemony taste with spicy and honeyed hints that will delight your palate. Besides that, it leaves a caramel and smoky flavor with different shades. 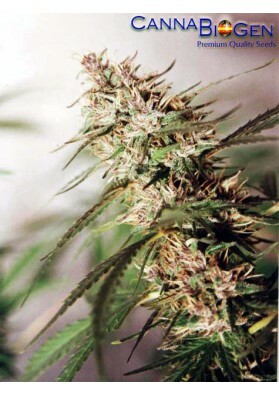 Purple Mexican is also the ideal weed to provide energy during the day, being one of the favourites among consumers. Purple Mexican proves to be an ideal Marijuana strain for those who wish to have a balanced effect between the mind and body, which is long-lasting and powerful.